Maxine Hong Kingston Research Papers discuss three short stories which are as follows On Discovey, Silence, and No Name Woman. Paper Masters custom writes all research papers so your project on Maxine Hong Kingston or any of her works is written only for you. Have our writers explicate her work or write on the importance of this brilliant Chinese American writer of some of today's best literature. Kingston's examination of cultural heritage and integration into the multicultural society that America has become is often filled with her own confusion, frustration and anxiety over the inability of America to embrace Chinese culture and Chinese men and women to correctly articulate and assimilate their own rich heritage into American tradition. Thus the wave that her short stories produce constantly builds to a crest of anxiety and crashes with frustration, only to build again. Kingston's moments of calm reflection are articulated in the beginning of stories like "On Discovery" in which she deceptively begins with "Once upon a time". 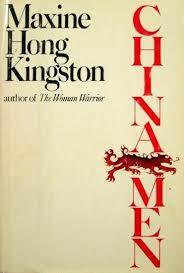 The story serves as a fitting introduction to Kingston's narrative style of telling the tale of Tang Ho in a matter of fact manner, with no room for historical interpretation. The omniscience of Kingston states that story is fact and the fate of Tang Ao is as solid as the unchanging world in which he lives. In a satirical style, Kingston presents the story of Tang Ho beginning like a fairy tale ("Once upon a time") and ascending so that by the ending, the reader is aware that the story has left a bitter taste in the mouth when the characters and the readers discover their fate is sealed. Thus, "On Discovery" aptly illustrates the foundation of Kingston's state of mind over the fate of the Chinese in America. Anxiety is a state that results when one sees either no alternative, or only bleak choices to the options in front of them. Kingston offers no alternative by her narrative style and it is no wonder she continues down this path of anxiety in the following stories of "Silence", and "No name Woman". "On Discovery" is simply the foundation for her rising crest of angst. In an effort to cope with this, she offers more insight into alternatives to the problem of Chinese identity in America in the later stories. The Woman Warrior - The Woman Warrior Research Paper delves into a semi-autobiography of Maxine Hong Kingston. No Name Woman - No Name Woman Research Papers delve into the female autonomy and sexual identity. The Self and Its Selves - The Self and Its Selves is a book written by William James and discusses his theory on self-identity. Biography Essay - Maxine Hong Kingston - The Woman Warrior Research Paper delves into a semi- autobiography of Maxine Hong Kingston. Paper Masters writes custom research papers on Maxine Hong Kingston and discuss three short stories which are as follows On Discovey, Silence, and No Name Woman.